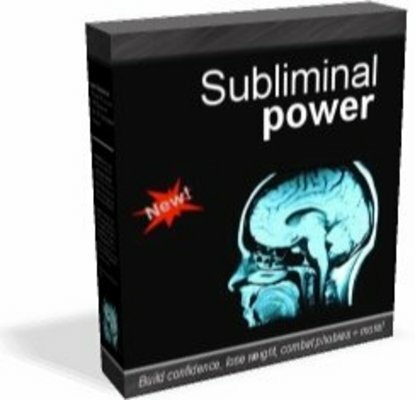 Discover How Our Subliminal Message Software Can Re-Program Your BRAIN To Get Maximum Results in ANY Area of Your Life! And how you can accomplish these life-changing results with virtually no effort on your part! All you do is make a few clicks on your computer and then go about your normal computer activities while our software programs you for success! Working, programming, reading email, surfing the Web or any other thing you do at your computer - as long as you are watching your monitor, you will be flooded with powerful messages! Its that easy. If youve ever researched ways to improve yourself personally or professionally, youve come across thousands of people who have had success with affirmations. This is basically repeating positive phrases and goals over and over again. Eventually the phrases get to your subconscious mind (the real powerhouse) and then become reality in your life. But here is a problem with affirmations. Most of the time, our conscious mind is so critical with our affirmations that it never even gets to our subconscious. You weigh 180lbs and want to get down to 160lbs. So you try using the power of affirmations. You repeat over and over again, I am healthy and happy weighing 160lbs. Now here is where the problem arises. Many times, your conscious mind just doesnt believe that the affirmation can actually happen. So when you are repeating the words, I am healthy and happy weighing 160lbs, your critical conscious mind is saying, Yeah, right. There is no way I are going to weigh 160lbs anytime soon. And so the affirmation has lost about 95 of its effectiveness. Now maybe with continued repetitions, the affirmation may get to the deeper subconscious mind without being filtered too much. But wouldnt it be much easier and faster if you could send messages directly to your subconscious mind (bypassing the critical conscious mind altogether)? Of Course it Would! And Thats Why Our Subliminal Message Software Library Was Created! Instead of repeating phrases all day long, this neat tool helps broadcast messages directly to your subconscious by flashing the powerful messages on your computer screen. You see, although our conscious mind can only focus on one or two things at a time, our subconscious can take in everything at once. So although our conscious mind cant really decipher the message being displayed, our subconscious can. This is important because this is how we bypass the critical mind to access the subconscious directly. Think about it: the average American today spends hours in front of the computer (even more so if you are using your computer to help generate income). Why not make better use of that time by having our Subliminal Message Software running discreetly in the background - flashing powerful affirmations to your subconscious and thus improving yourself in the process? Our Software Programs Your BRAIN for Success While You Do NOTHING! - Each title contains 20 pre-loaded messages that were researched and hand-picked to cause the desired change in the shortest amount of time.